Abstract submissions for the AEJMC Midwinter Conference are due tomorrow Tuesday, December 1, 2015. The conference will be held at at the Gaylord College of Journalism and Mass Communication at The University of Oklahoma from February 26-27, 2016. Please note that this year, all submissions must be made online. This is a departure from previous years. The site for creating your login and password that allow you to submit can be accessed by clicking here. In the “AEJMC Midwinter 2016 Login” box, click on “Sign up here” as a new user and follow the directions. 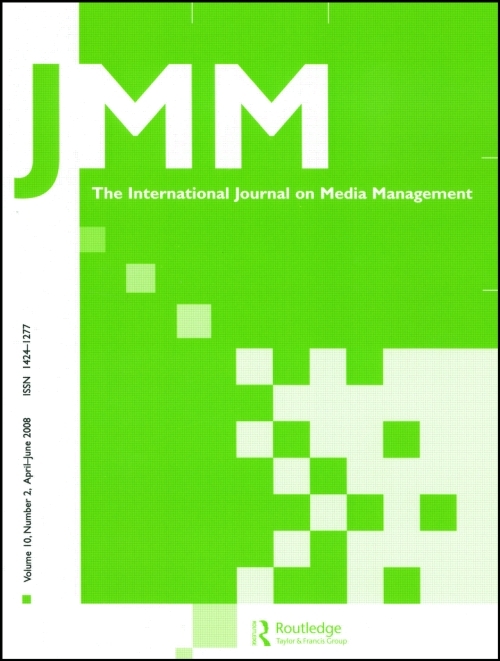 The International Journal on Media Management is presently accepting papers for their special issue on Big Data & Media Management. The final day to submit your manuscripts is Monday, December 14, 2015. This special issue seeks to showcase research that employs big data to address media management questions; that analyzes the uses of big data in the media management sphere; or that explores the broader implications of how big data use (or misuse) might transform how media is produced, distributed, marketed, or consumed. Articles will be evaluated on their general merit, contribution to new knowledge, and relevance to the topic “Big Data and Media Management.” Manuscripts that meet the scope of this special issue will be peer-reviewed by two to three reviewers. All submissions must conform to academic standards, be original, and not be published nor under review elsewhere. Submissions must be in English and should be no longer than 6,000 words. Articles must be submitted via the electronic submission system at: http://mc.manuscriptcentral.com/hijm. There are 18 days left to submit your paper to the 12th World Media Economics and Management Conference as the extended deadline of December 13, 2015 is approaching. The 12th edition of the conference is taking place for the first time in the United States, and it comes directly to the capital of media and entertainment business: New York City. Hosted by Fordham University, the conference provides attendees the opportunity to exchange ideas, present their original research, and strengthen connections with peers and industry experts. Most new journalism and communication graduates will likely be self-employed at some stage of their lives. Even if they happen to secure a sought-after permanent position, entrepreneurial skills are expected of them since the once clear-cut boundaries between editorial and managerial departments have faded. These changes in the job market require new or enhanced competencies that should be taught in the classroom. What better place than the MMEE blog to share thoughts and ideas on the necessary additions. Where do business ideas come from and how do I find the viable ones? What should I expect the entrepreneurial process to be like? How do you win a pitch for a contract? Why do so many ventures run into problems and how can I avoid failure? How to cover all relevant theory if you do not have a strong business background? How can you train students to read a balance sheet? How can you teach complex management skills? How to get entrepreneurial research ideas approved by IRB? One possible solution is to team up with a colleague from the business school and co-teach the class. Having real-life cases greatly enhances the classroom experience, but consideration should also be given to finding media practitioners that are specifically researching an interesting problem on an agenda that coincides with the semester in which you are teaching. Case study teaching may offer an alternative to traditional lectures, while simultaneously providing near-life settings. While other challenges exist, our MMEE community is full of ideas and potential solutions, and we should make sure to share them with each other! Entrepreneurship education also comes with administrative challenges. Many accrediting bodies do not yet regard it as an integral part of the journalism and communication curriculum. Despite this, some positive changes are already on the horizon. In Germany, the Organization of Journalists (Deutscher Journalistenverband) has now openly requested the introduction of more entrepreneurship topics into the journalism education curriculum. This was after a recent study found that a student’s career can be limited as a result of deficient entrepreneurial skills. Of course, we as educators do not need to wait for all accreditation issues to be resolved before introducing a piece of entrepreneurship into suitable modules. Another issue frequently raised regarding entrepreneurship education in journalism is ethics. Can an entrepreneurial journalist or communicator still be independent in reporting and commenting? How much entrepreneurship is appropriate? It is important for us as educators to be a part of this discussion and to educate our students to be aware of these challenges. The MMEE board is already preparing exciting teaching panels on entrepreneurship education for the next AEJMC annual conference in Minneapolis. Also, the teaching resource section on the MMEE blog shares ideas on both how to have fun in teaching entrepreneurship while avoiding possible pitfalls. We hope you will consider contributing to our teaching resource site, and this important discussion on teaching entrepreneurship in the classroom. 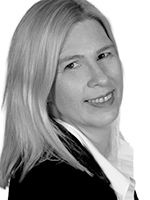 Dr. Sabine Baumann is a professor at Jade University of Applied Sciences in Wilhelmshaven, Germany. Abstract submissions are being accepted for the AEJMC Midwinter Conference at the Gaylord College of Journalism and Mass Communication at The University of Oklahoma. This year, the conference will be February 26-27, 2016. The submission deadline is December 1, 2015. The formal call for papers can be accessed by clicking here. This is a fantastic conference for graduate students and new scholars, particularly since the call requires only abstracts, not full papers. Conference organizers are making a renewed effort to publicize this conference and drive up submissions, so please inform your students and colleagues. Note that this year, all submissions must be made online. This is a departure from previous years. The site for creating your login and password that allow you to submit can be accessed by clicking here. In the “AEJMC Midwinter 2016 Login” box, click on “Sign up here” as new user and follow the directions. Conference organizers are also hoping to solicit reviewers. If you’d like to volunteer, please email Marcus Funk, MMEE Midwinter Conference Chair directly by clicking here. Remember, reviewers are only expected to review 600 to 800-word abstracts, not full papers.